There are a lot of writers out there trying to get a book published--and without much success. So where do you start? If you're writing a nonfiction book, your first step should be a book proposal. Oh no, not a book proposal. While that's the attitude many writers have toward book proposals we really should be saying "Hooray! A book proposal!" Because for most authors it's the book proposal that sells their idea to the gatekeepers: agents and publishers. Nina Amir wants to change our attitudes about book proposals by providing us with an easy-to-follow manual: The Nonfiction Book Proposal Demystified: An Easy-Schmeasy Guide to Writing a Business Plan for Your Book. So take a deep breath, turn to page one, and start creating a book proposal that will sell your dream. 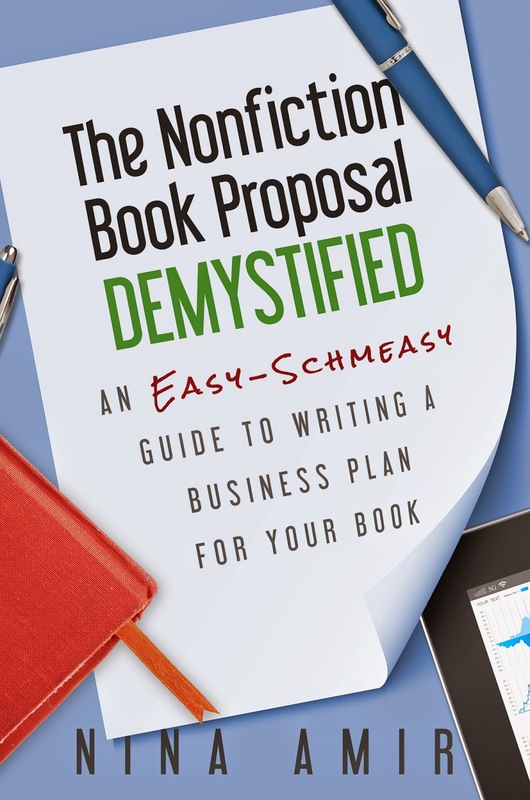 The Nonfiction Book Proposal Demystified: An Easy-Schmeasy Guide to Writing a Business Plan for Your Book is available as an ebook at Amazon and Smashwords. To win a copy of The Nonfiction Book Proposal Demystified, please enter using the Rafflecopter form at the bottom of this post. The giveaway contest closes this Tuesday, March 10 at 12:00 AM EST. We will announce the winner the same day in the Rafflecopter widget. Good luck! Amir holds a BA in magazine journalism with a concentration in psychology, has edited or written for more than 45 publications producing hundreds of articles and had her work published in five anthologies. 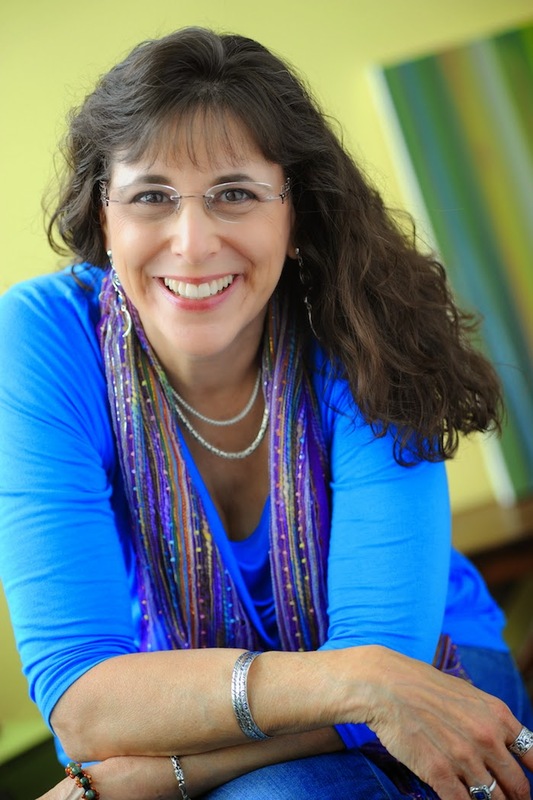 She has self-published nine short books, including the popular workbook How to Evaluate Your Book for Success and 10 Days and 10 Ways to Return to Your Best Self. She is the former writing and publishing expert on the popular radio show, Dresser After Dark (www.dresserafterdark.com), hosted by Michael Ray Dresser, which has approximately 80,000 listeners per month. Amir also speaks and writes about self-improvement, human potential, and practical spirituality. After reading The Nonfiction Book Proposal Demystified, I'm looking at book proposals in a whole new way. In the past they seemed like a chore to do before sending your book out to an agents or publisher. Nina makes you see that, aside from being a helpful tool for agents and publishers, a book proposal can be a helpful tool for YOU, the writer. Do you have a dozen book ideas rattling around in your brain? Which one to work on first...how will you decide? It's easy. Writing book proposals will help you judge the marketability of your ideas as well as strengthen any weaknesses you may find in your idea BEFORE you begin writing. The Nonfiction Book Proposal Demystified breaks the book proposal down by section telling you what should be in each section and helpful tips like how long each section should be, what you shouldn't be saying and how the agent/publisher will be looking at each section. The book also recommends several other books that cover book proposals. This is short book that provides step by step instructions and makes an overwhelming job manageable. Book Giveaway Contest: Enter to win a copy of The Nonfiction Book Proposal Demystified! Just fill out the Rafflecopter form below. We will announce the winner in the Rafflecopter widget on Tuesday, March 10. Does Your KidLit WIP Need Fresh Eyes?